A heavy-cropping 'All Female' variety. 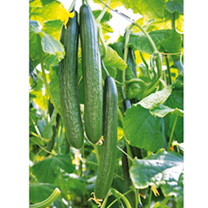 Produces vigorous plants bearing heavy crops of long, slightly ribbed, high quality, bitter-free fruits. 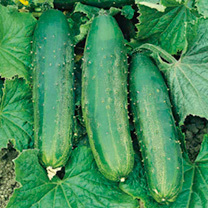 The most reliable cucumber variety for unheated greenhouses. Harvest July-September.